Note: This library is in an early stage of development. There will be breaking changes to the public API until the first stable version is released. 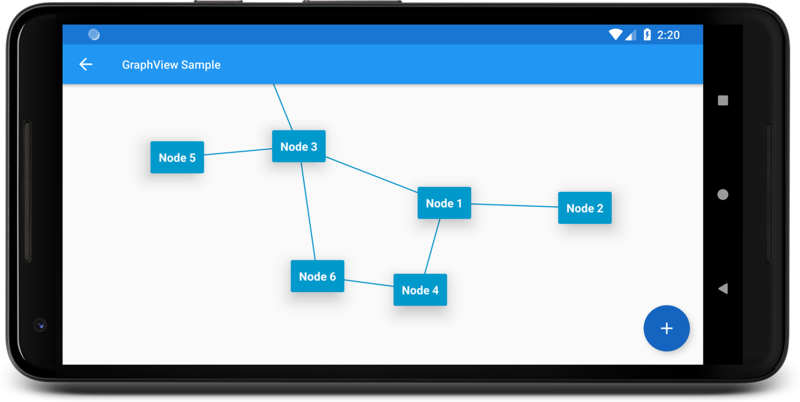 Android GraphView is used to display data in graph structures. 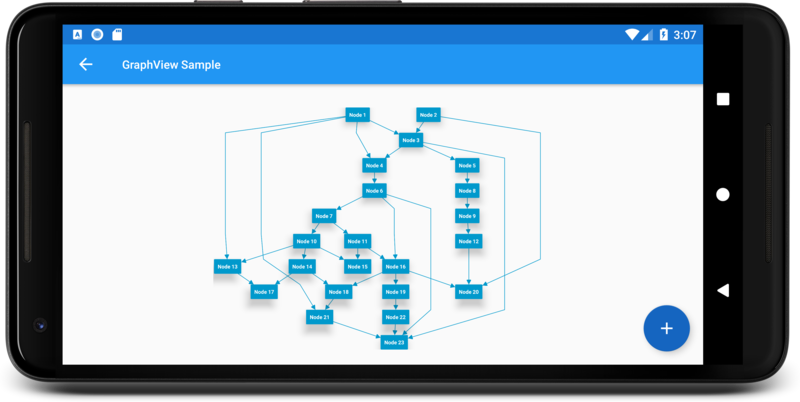 The library is designed to support different graph layouts. Uses Walker's algorithm with Buchheim's runtime improvements (BuchheimWalkerAlgorithm class). Supports different orientations. All you have to do is using the BuchheimWalkerConfiguration.Builder.setOrientation(int) with either ORIENTATION_LEFT_RIGHT, ORIENTATION_RIGHT_LEFT, ORIENTATION_TOP_BOTTOM and ORIENTATION_BOTTOM_TOP (default). Furthermore parameters like sibling-, level-, subtree separation can be set. Directed graph drawing by simulating attraction/repulsion forces. For this the algorithm by Fruchterman and Reingold (FruchtermanReingoldAlgorithm class) was implemented (currently works only for small graphs). Algorithm from Sugiyama et al. for drawing multilayer graphs, taking advantage of the hierarchical structure of the graph (SugiyamaAlgorithm class). 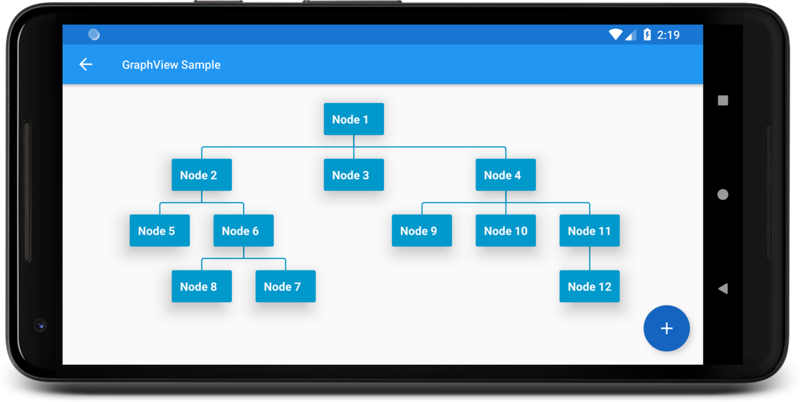 You can also set the parameters for node and level separation using the SugiyamaConfiguration.Builder. To use the custom attributes you have to add the namespace first: xmlns:app="http://schemas.android.com/apk/res-auto"
Each of the attributes has a corresponding setter in the GraphView class, if you want to use it programmatically. GraphView internally uses ZoomLayout for its zoom feature. To change the zoom values just use the different attributes described in the ZoomLayout project site.